You can win a copy of the book by following MANjr. on Twitter. Winners will be randomly selected. Here is Shawn sharing some thoughts on his book. 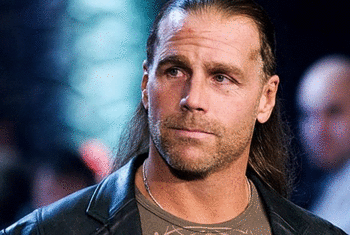 Your first book Heartbreak & Triumph: The Shawn Michaels Story came out a decade ago and was a bestseller. Why did you decide to write another autobiography, and how is this one different? 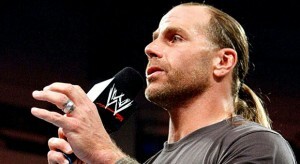 Shawn Michaels: Writing Heartbreak & Triumph was such a rewarding experience. Looking back on my wrestling career and describing my climb the top of an extremely competitive sport helped me better understand who I was, where I’d been, and how I fit into the legacy of the WWE. Plus, I got a kick out of knowing that the details and explanations I offered would mean a lot to fans out there, many of whom have followed my career so loyally for so long. My new book, Wrestling for My Life, raises the stakes a bit, I think. While Heartbreak & Triumph was a mix of professional and personal reflections, Wrestling for My Life is extremely personal — almost wholly so. That doesn’t mean I don’t talk about wrestling. After all, it’s a big part of who I am, and it always will be. I just talk about my career in the context of this incredibly personal thing: my faith. The book focuses on my life as a Christian — what that has meant for me and my family, and how it even happened in the first place. Why did you feel compelled to write about your faith? SM: For so much of my career, I was known — loved and hated — for being crude, arrogant, and offensive. It was part of the character I played, sure. But the bad guy I portrayed started swallowing up the real me, too. Becoming a Christian gave me the second chance I never dreamed was possible. I want to talk about that. If the Creator of the universe loves and wants to save a punk like I was, what does that mean — not just for me, but for everyone else, too? I want to share that kind of life-changing story with people. Yes , you write that as a pro wrestler, you liked being loved, but you may have liked being hated even more. Why? SM: I enjoyed making people react. I really fed off of the energy it created. Of course, I came to realize that as much as some fans hated me, I hated myself more. When did you realize that you actually hated yourself that you wanted your life to change? I go into more detail in the book. Basically, I was in a fog — and it hit me that my son was starting to notice. I was messing up his life now — not just mine. I broke down that night, disgusted with myself, and just prayed. I asked God to change me. Your wife Rebecca has been quite a force in your life, hasn’t she? ASM: Rebecca prayed for me loyally and constantly, while remaining supportive and nonjudgmental. She never nagged me about God. It’s not that she didn’t want me to change. She definitely did. She just took her concerns to God. Out of the two of us, she got serious about her faith first — started attending a Bible study, and just exuded peace. I’m eternally grateful for her. You grew up going to church, but you say you didn’t become a Christian until 2002. Can you explain what you mean? SM: Yes, I grew up Catholic. I was even an altar boy, which will probably hard for some of my fans to imagine. As a grown man, I did not live a Christian life. I didn’t have a relationship with Jesus. I had what I can only describe as a spiritual experience while I was hunting in the Texas Hill Country. I knew I needed something else in my life — something big. For me, that was Jesus. Once it really hit me that he gave his life for me, I wanted to follow him in every way I could. It was a revelation. And it was liberating. All of the stuff that used to matter — fame, money, excess — just didn’t appeal to me at all anymore. I became focused on my family and trying to please God in any way I could. What appealed to you most about Jesus? SM: Jesus was tough, man. I mean that physically, of course, but also emotionally and mentally. At first, I was stunned by Jesus’s physical strength — all that he endured. As I grew in my faith, I became more and more awestruck by his emotional and mental toughness, which came across in the compassion and forgiveness he so generously gave others who really let him down. Even though I know I can’t ever live up to the way Jesus lived, he’s my goal. You’ve retired from wrestling twice. Can you talk about the decision to go back? SM: The first time I retired in 1998, I was forced to stop wrestling because of injury. Vince asked me to come back in 2002, first just part-time. My family supported my decision to go back — that was key. And I prayed about it, trusting that God would show me what I was supposed to do. It became pretty clear to me that I was supposed to start wrestling again. The next year, I went back to wrestling full-time, which I continued to do until 2010. At first, I was really worried that I wouldn’t be as strong physically as I’d once been. I didn’t want to return a weaker wrestler. Those concerns soon disappeared. Today, I genuinely feel that I can argue I was a better wrestler and performer in the second part of my career than the first. What was it like to return to wrestling after becoming a Christian? SM: Well, I wasn’t a Bible-thumping, in-your-face kind of guy about it. But I knew they’d heard that I’d become a Christian, and I wanted them to see firsthand how my faith had changed me. It was an incredible opportunity to show how God can make a life better in a place where he wasn’t routinely discussed. Here were all these guys with vastly different backgrounds who wouldn’t have necessarily sought God out, but could discover him, ask me questions without feeling weird, and learn more about what having God in your life means — all backstage at a WWE match. Pretty awesome. I also hoped viewers and fans would notice and wonder why I was different. It provided an incredible opportunity to show millions of people what God can do. Did you ever feel torn between trying to please the wrestling community and following your faith? SM: At first, I was really intimidated about making my two separate worlds coexist. When I returned to wrestling for the second time in 2002 — the same year I became a Christian — the environment was very different than it’d been in earlier years. Everyone at WWE was so accepting of my Christianity. I also noticed that the locker room culture in particular had changed. The guys felt freer — they shared more and admitted to feeling insecure or confused. Picture this: a bunch of wrestlers getting ready to head to the ring, gathering together and praying first. It happened, and I’ll cherish the memories of it forever. Vince McMahon and his family were incredibly supportive of me. I did sometimes find it hard to reconcile my public persona with the expectations of fans and other Christians — but that wasn’t Vince’s fault. That was something I had to work through, as a new Christian, on my own. One situation in particular comes to mind. I said the word “damn” in a promo for an upcoming match, all as part of a storyline I was working on with my best friend Hunter — Triple H. I thought that since I was acting — just playing a part — it’d be no big deal. But a lot of people were really disappointed in me. My dear friend Keith Parker pulled me aside after our Bible study once the spots had run and asked me about my decision. At first, Keith’s questions kind of rubbed me the wrong way. But later that evening, I realized he was so right. By making a compromise — even one that seemed pretty insignificant like uttering a single word — I was weakening my ability to share my story. 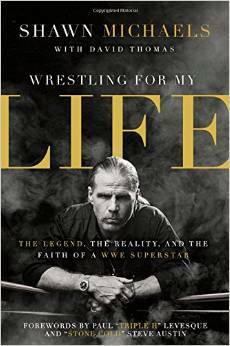 You talk a lot about Vince McMahon in a book about spirituality — that may surprise some people. You also revisit famous and infamous episodes in your wrestling career in light of your newfound faith. What was that process like for you? SM: Yeah, I felt like it was one of the most important things for the book to accomplish: looking at my past in light of my faith. The Montreal Screwjob is a perfect example. It’s still the biggest controversy in the history of pro wrestling. In 1997, my rival Bret Hart was set to lose his final match in his home country of Canada. He’d made it very clear that he would not give up his belt to me, but Vince decided behind the scenes that that was exactly what would happen. So, Bret lost to me in Canada, and was humiliated in front of his countrymen. Understandably, he was furious, and up until relatively recently, Vince had taken just about all of the heat for what happened. The thing is, I knew all about it. I was in on what happened. After I became a Christian, I gave an interview, and I could not lie about it anymore. So I came clean, and admitted my role. At the time, Bret and I were not on speaking terms. We hadn’t been for years. Our path to forgiveness and reconciliation was long and difficult. Bret has described our ultimate peace as “cathartic,” and I think that’s a perfect way to put it. I also don’t believe it would have happened with God. You talk a lot about forgiveness in the book. SM: Yes. I like to say, “Forgiveness brings freedom.” I think there are two types of freedom. The first kind is the kind that says, “Okay, I have freewill. I’m going to do whatever I want.” That’s the kind of freedom that you have to give up in order to get the second kind of freedom, which comes only from God. It’s freedom from guilt and shame, and in return, you have a gratitude and peace that’s indescribable. It probably goes without saying, but just in case: I think the second type of freedom is way better than the first. And I’d definitely know. You’re very candid about all kinds of difficulties you’ve experienced, both before you became a Christian and afterward. Some of your troubles included financial stress. Why did you feel like that was important to include that? SM: My family has been incredibly blessed, financially and otherwise. But yes, we did have some trying times with an investment, and it took two years for our home in San Antonio sell. That was tough. I wanted to address it specifically because I think it’s important to acknowledge that once you start following God, your life doesn’t instantly become trouble-free. The stressful times we have are reminders to trust God — even when it’s so tempting to take matters into your own hands. You’ve also been really successful cohosting a hunting show on the Outdoor Channel, right? Why hunting? SM: Yes, along with my great friend Keith Mark, I have cohosted MacMillan River Adventures for the past four years. I enjoy that show so much — it’s hard work, the extent of which I don’t think I completely realized when I signed on. (Laughs.) When I’m outdoors, I feel close to God. Wrestling for My Life is a personal story, but you also make some observations about contemporary society’s expectations of men. Can you talk about that? SM: I worry that as so many men chase what culture says is “cool” and expected today, they’ve abandoned virtues that really matter, like grace, forgiveness, character, and integrity. In fact, I think that men who embody those virtues are often publicly mocked. Our society needs more men who will stand up and be warriors of strength and grace — no matter which way the wind is blowing. What are your primary goals these days? SM: I’m in the process of continually being changed for the better. Becoming a Christian gave me a confidence I’d never experienced before — it’s also given me an overwhelming peace. I don’t need to be the center of attention anymore. I don’t need to be relevant. I am working to be the best husband and father I can. I’m constantly pursuing being transformed into the man God wants me to be. Print article This entry was posted by Art Eddy III on February 24, 2015 at 12:35 pm, and is filed under Sports. Follow any responses to this post through RSS 2.0. Both comments and pings are currently closed.